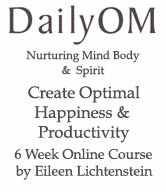 The following is an excerpt from the “Create Optimal Happiness & Productivity” on-line six week course by Eileen Lichtenstein. Welcome to How to Create Optimal Happiness & Productivity – You are about to embark on a transformative journey of self-development that will guide you to amazing levels of happiness and abundance in your life. You will learn about components of happiness and productivity and how to apply it to your own circumstances. You will learn how to implement and adapt the strategies to your own life on an ongoing basis. 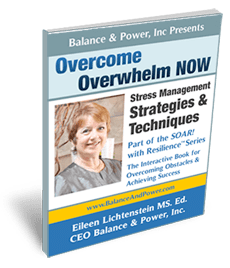 Eileen Lichtenstein is a Peak Performance Success and Certified Career Coach. Her goal is to promote Optimal Wellness and Productivity in your life. Using goal setting, accountablity and stress and time management, she has helped and guided countless individuals and business executives, educators and financial experts – empowering all to achieve their dreams and goals. During this course Eileen will take you through her amazing Stress and Time Management techniques so you can learn how to be happier, communicate more effectively and find the balance in your life you are looking for. Aging is the body’s reaction to environmental and psychological stress. How we deal with stress profoundly affects the way we look and feel. 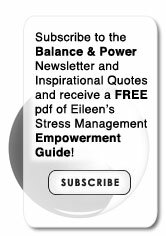 Eileen gives you several very effective techniques to deal with stress in your life. You will learn to recognize what isn’t working in your life and will be given the tools to assist you in the awareness necessary for your transformation to leading a balanced life. You will learn beginning Emotional Freedom Technique, also known at EFT/ tapping, so you can use your own body’s energies to remove negative emotions. It has been called the modern version of ‘acupuncture without the needles’ and ‘acupressure without pain’. 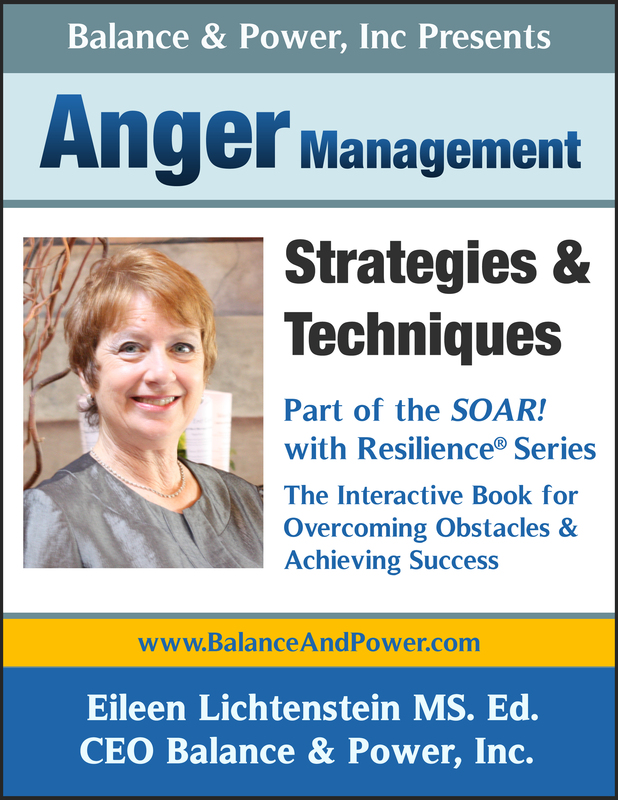 Eileen will show you how to break the ‘Conflict Cycle’ and how to ‘Access Your Best Communication Style’. This course can start turning your ailing business – or life – around. 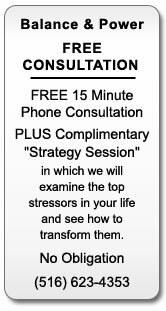 And if you are simply feeling overwhelmed with life, “sandwich generation” or parenting issues, this program will help get you get unstuck, be fearless and Create Optimal Happiness & Productivity! I’ve overcome obstacles in areas of my life… After battling colitis for many years, I found a holistic approach to healing myself that worked wonderfully together with my medical care. My participation in modalities incorporating positive thinking, affirmations, relaxation breathing, exercise and stretching were instrumental to my conquering colitis and became part of my Moving Meditation® Fitness audio program. 16 years ago, I was involved in a pedestrian accident in which my right foot was run over by a van, which left me with five breaks in a bone in my foot. During my recovery I was asked by a local physician to help write a curriculum for a new stress-reduction program he was developing. He encouraged me to read John Kabot-Zinn’s Full Catastrophe Living” and Herbert Benson’s “The Relaxation Response”, which turned my negative attitude towards recovery around and were catalysts to my healing and I was able to teach Hatha yoga for this course within a few months. I was dealing with a severely broken foot, which had huge amounts of tissue damage. During this time of healing, with my prognosis unknown,I decided to become a trained bio-feedback therapist as well as work in that field in order to have career “back-up” because of my unknown prognosis. Studies show that expressing gratitude increases positive emotion and decreases depression symptoms. It’s not possible to be grateful on a consistent basis and to feel depressed.